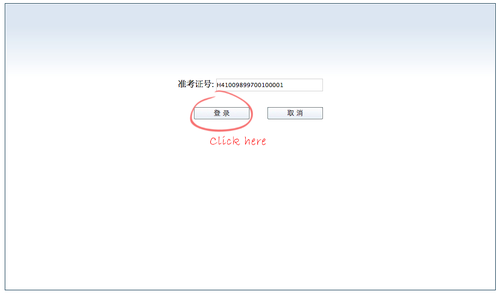 To do a mock online HSK test, head to the Institute Confucius online. This site is great to prepare taking HSK exams for free. 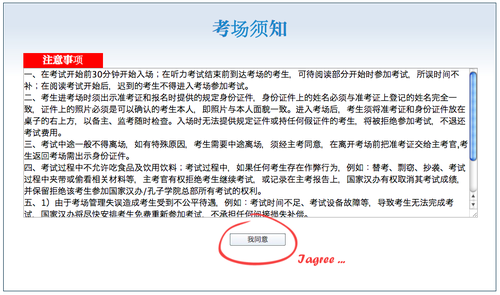 This site, mind you, is all in Chinese. but it’s full of great resources for wannabe HSK takers, so even if you’re beginning in Chinese and preparing for the HSK 1, don’t let the “it’s all in Chinese” stop you. Besides, you’ll know where the HSK related stuff is because that’s where “HSK” is written in roman letters. That and we circled that stuff in green. Update: looks like there’s an English version now, too. Just in case, here’s a walkthrough of the different steps you need to take on the site to be able to start a mock HSK test, live and online! For each level, you can access two kinds of HSK test practice: a shortened version —> 缩减版 or a complete version —-> 完整版. There’s also a third option, called 真题集. This takes you to somewhere else where you can access and take several past HSK tests. You’ll need to create a free account for that. Once you’ve created an account, the test taking procedure is the same as below. Anyhoo, back to where we were. 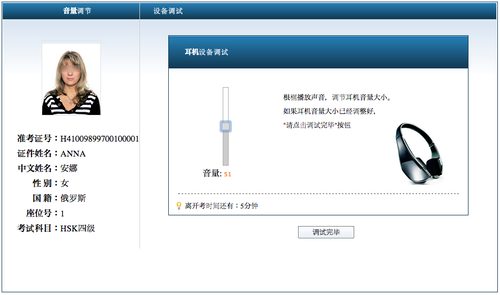 Click on the button that says 我 要 考式 (Wǒ yào kǎoshì). This means: I want to take the test! Click on the left-hand side button to confirm. The right-hand side button is to leave. Don’t Western sites usually do it the other way around? Interesting. 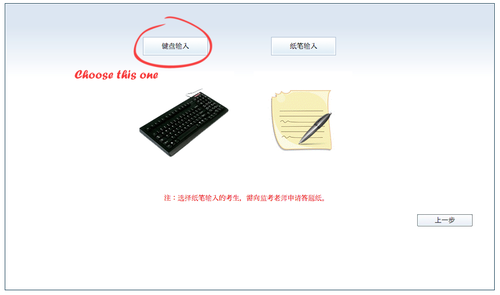 Ok, once you’ve clicked the button, it’s now going to tell you you’re Anna from Russia (俄罗斯 – éluósī). Confirm. Then, you’ll be asked to check and adjust if necessary your sound level. I left it as is and it worked fine. Next up, choosing your weapon. It being online and all, the keyboard is what I suggest you go for. Next up, agreeing to their rules and regulations. Click on 我 同意 – Wǒ tóngyì (I agree). Then, the test loads. From paper to computer apparently. Impressive. Once it’s done loading, you’ll see a screen that tells you the number of questions the test has, and what kind. Depending on the level, there are two to three parts: 听力 (tīnglì), listening comprehension and 阅读 (yuèdú), reading comprehension. Starting with HSK level three, there’s also a 书写 (shūxiě), writing part. 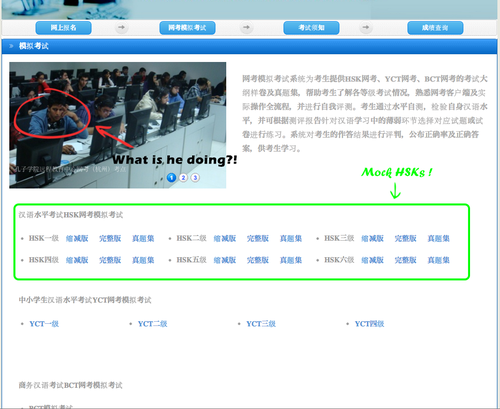 Now entering the HSK test room! And that’s it! Ready to go? Click the button. It says 进人 考试 (jìnrù kǎoshì), which means Access the test! (exclamation point added by me). This virtual room is where you’ll be spending the next hour or more of your life (depending on the level you’re taking). In the listening part, the test takes you from question to question. Once you’ve listened to all the question, you’ll have a few minutes to go back (using the navigation buttons or the left-hand side menu) and review your answers. In the reading part, you’re free to move along the questions as you wish and answer them in whatever order pleases you. Same with the writing part. You have a limited time to answer the questions in each section (the numbers in red on the top indicate the amount of time you have left). 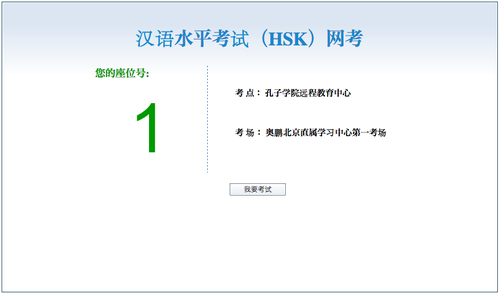 Once you’ve gone through all sections, and the time’s up, you’ll immediately get an HSK result sheet that tells you how (well) you scored. 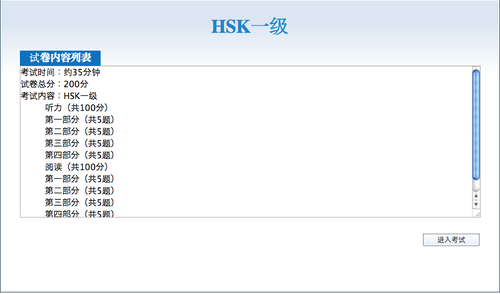 official HSK booklets and information on each level and their specificities. complete HSK test samples you can download for each level (for each level, there’s a recording and a corresponding answer booklet.). Then, you can practice the HSK old-school style. No peaking at the answer sheets before the test is over! 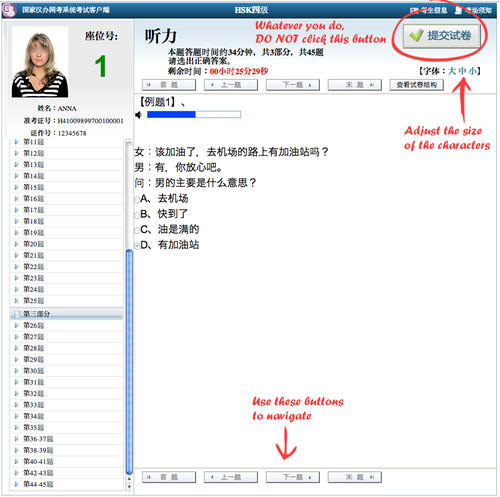 you can also do HSK preparation directly on the site and assess your level by taking a mini-version of each HSK level test. 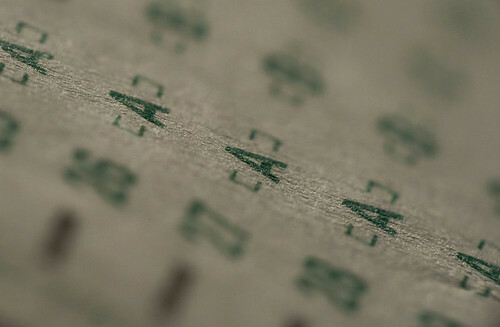 Last but not least, the site is also where you register to take the test throughout the world. Not feeling quite ready to take an HSK test yet? That’s okay! A little practice and you’ll be good to go! Our suggestion of the best place to learn the HSK vocabulary, for levels 1 -6? Ninchanese! You’ll also learn the key sentence patterns and grammar patterns to know for the HSK, as well as short dialogues on modern conversational topics to practice your speaking and listening skills in Chinese; two other crucial skills to work on for the HSK tests! The best part? All the vocab is free to learn and we guarantee you’ll have fun preparing for the HSK and learning to speak Chinese! Good luck! 加油！Happy HSK test taking!